Please Read our Best Practices: Ticket Validation / Access Control article for more information. 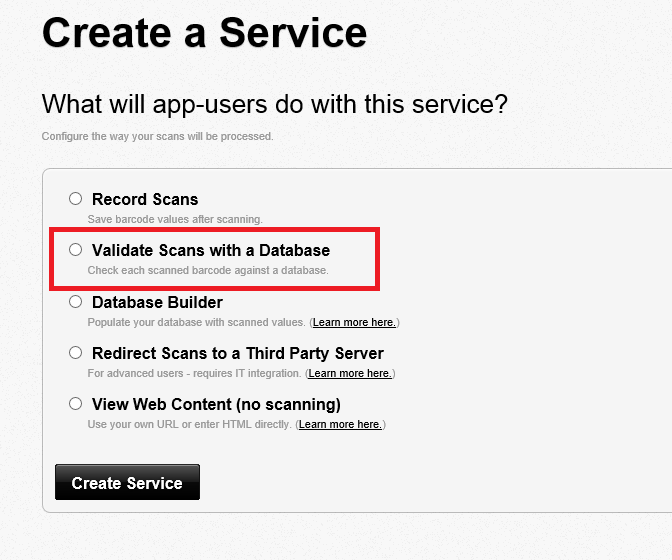 To create a service select the ‘Services’ link in the navigation panel, and then select ‘Create a Service’ button. Provide the name of your database here, you will build your database later in step 8. 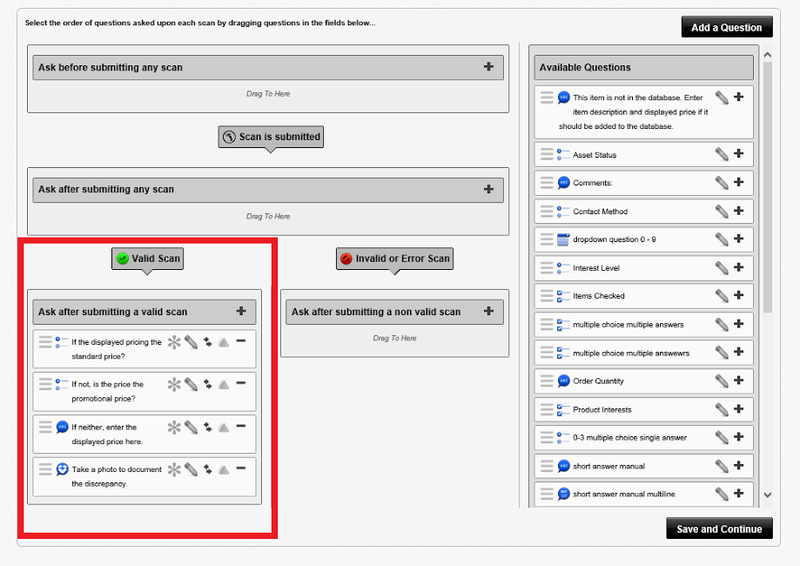 By default, any scan that has already been scanned will be marked as ‘Invalid’. You can change this to ‘Valid’ if you need to scan the same barcode more than once. You can optionally add a description for the app user to see. You can add one or more Questions (prompts) for data collection. 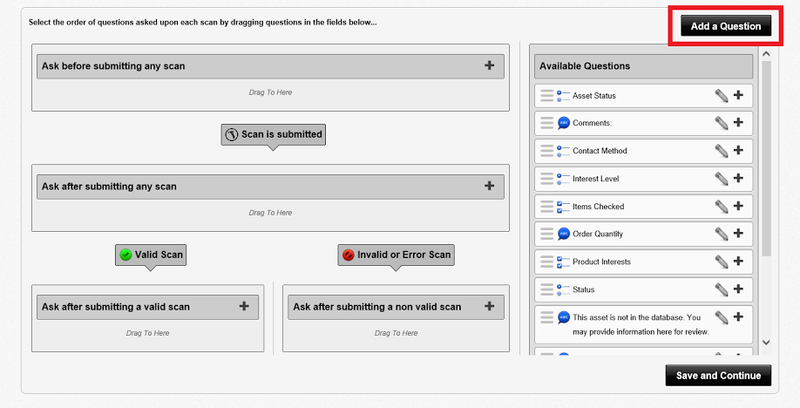 Create your own custom questions or select questions from the list of ‘Available Questions’. The most common prompts for Price Audits are ‘Short Answer’ question types, ‘Multiple Choice (Single Answer)’ question types, and ‘Dropbox Collection’ question types where a photo can be taken and saved in the scan record. 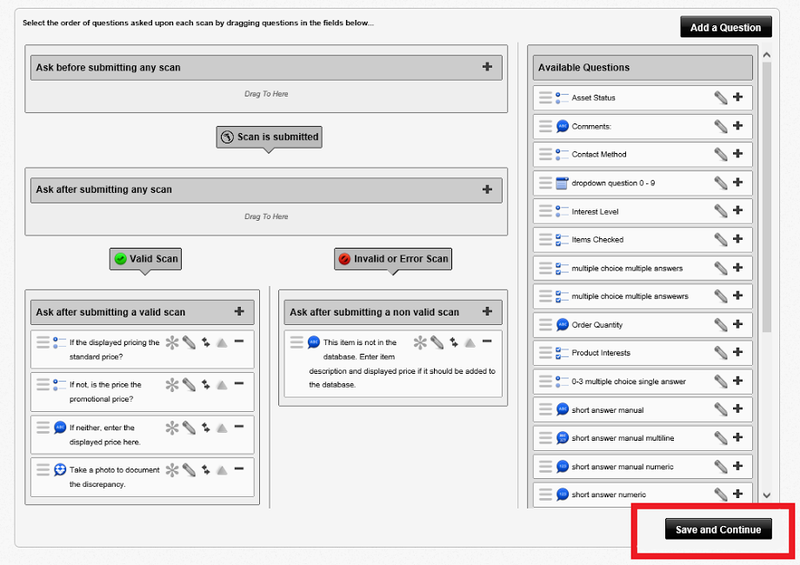 Drag the questions from the list of ‘Available Questions’ into the appropriate field to the left i.e. 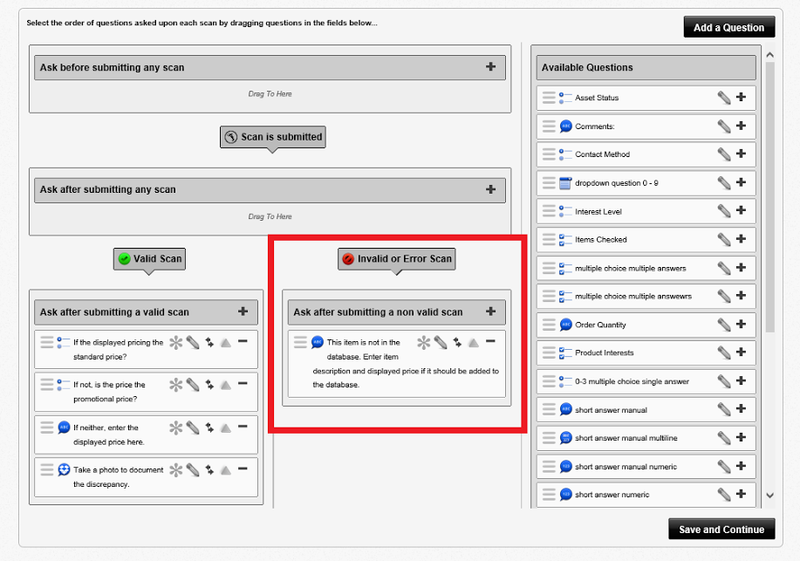 ‘Ask after submitting a Valid Scan’. We suggest adding a short answer: manual after an invalid scan. Auto-Sync In Jan. 2015 this special feature was added. Choose this option on the Advanced tab if you are not sure if Internet connectivity will be fast and stable throughout the event. You need to have selected the On-Device service type when creating the service. 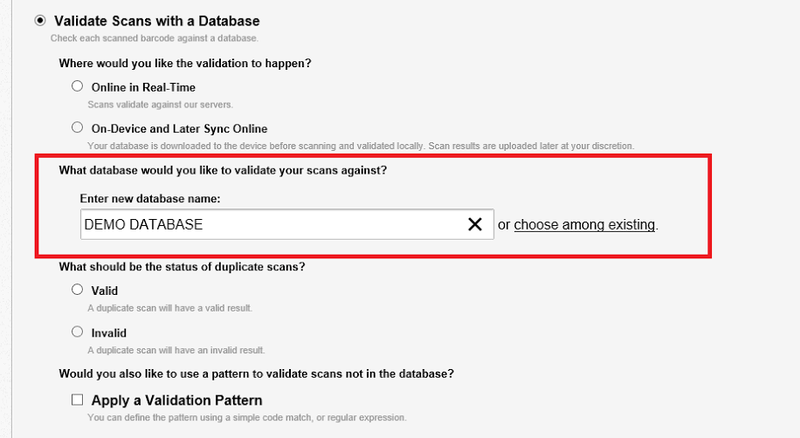 Scans from all devices are automatically uploaded (‘posted’) to a shared online database and the synced database is automatically downloaded to each device. The default setting for posting scans is every two (2) seconds. The default setting for downloading databases is every two (2) minutes.